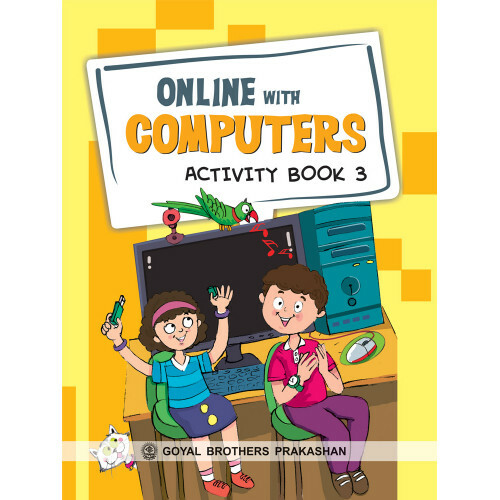 A sincere attempt has been made to revise this series titled ‘ONLINE WITH COMPUTERS’ from Classes 1 to 8. There are numerous new additions and re-arrangement to the previous contents in order to facilitate better learning and understanding of the concepts. Though more stress has been laid on making the language easier, added illustrations, screenshots and practical work also help students in better understanding. This series is based on the latest CCE guidelines of CBSE and has also taken into account the present and future syllabi needs of various prestigious boards of National repute. For all round development of each child’s personality, assessments in Scholastic as well as Co-Scholastic aspects of the pupil’s growth have been taken into consideration. There are numerous Summative and Formative assessments at the end and during the course of the chapters. This series has been revised and updated with much labour and inputs after interacting with various scholars and eminent persons of the computer field. It will definitely enable students in self-education, and broaden their horizon. Each chapter in the series has a separate outline, plenty of illustrations, and subject matter along with screenshots of Windows XP and Office 2003 for explanation and easy understanding. Chapter Outline at the start of each chapter. Revision of subject matter covered in previous classes, wherever required. Definitions and important statements are highlighted. Hot Hint gives extra guidance with specific topic. Time Savers are shortcuts to help you save time in completing a task. Knowledge Key is extra information that adds to the knowledge about software. Rehearse provides practical exercise to complete in practical time. Warning to helps learners to steer clear of unwanted results. Websites to Visit provides links to the reference material on the Internet about topics covered. Value Words at the end of chapter are explanations of important terms. Memorise section is the summary of the chapter. Practical Practice provides the exercise to do in computer lab. Life skills section helps children to develop different strategies to work on computer. Numerous exercises in the chapter, at the end along with activities. Teacher’s Note is included at the end of each chapter suggesting intuitive ways to teach a chapter. Activity Books along with each Course book contain additional activities in the form of Activity Sheet. These activities fit easily into the teaching–learning programme. They help to revise the concepts learnt from the Course Books. Updates to the latest software such as Windows 7 and Office 2010, wherever required, have also been added at the end of the book so that students can get a feel of the latest softwares. 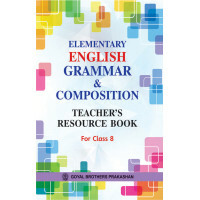 New Elementary English Grammar And Composition Book 5 ..